A rare prehistoric fossil found on a Scottish island could significantly advance scientists' understanding of the area. 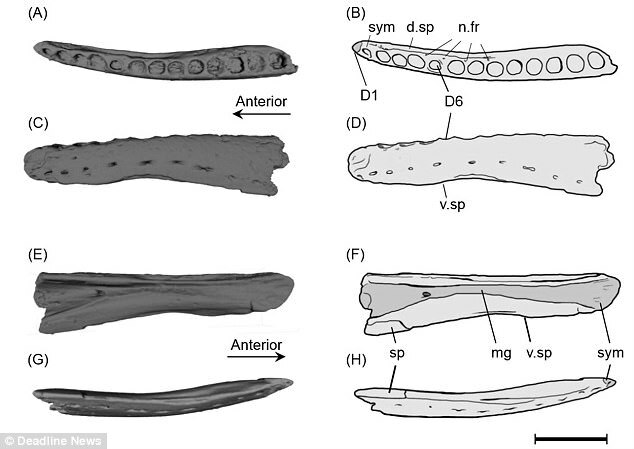 The 170 million-year-old jawbone from a dog-sized crocodile-like creature is one of the only found anywhere in the world. 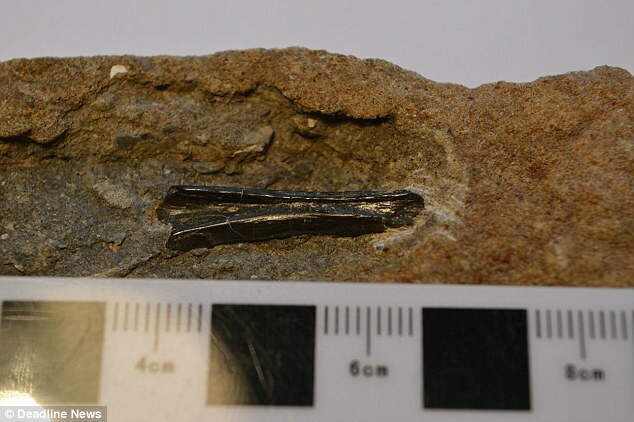 The small fossil, measuring just over 3.5cm in length, was discovered on the Isle of Skye almost 30 years ago, but recent scans of the rock containing the bone unlocked its secrets. The island is one of the few places in the world where fossils from the Middle Jurassic Period can be found. 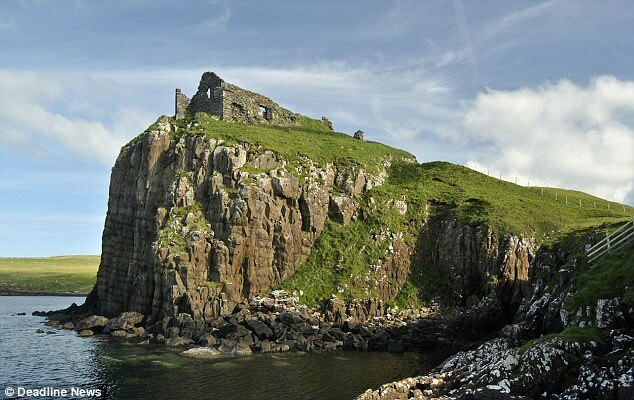 Using high-resolution X-rays scientists from the University of Edinburgh were able to investigate the tiny bone found at Duntulm Castle in the north of the island. Through examining the fossil, and others previously found on Skye, they suggest that the 'scaly dog' animal is from a family of close crocodile relatives. Known as neosuchians, these creatures were becoming more diverse on the island's shores at the time. 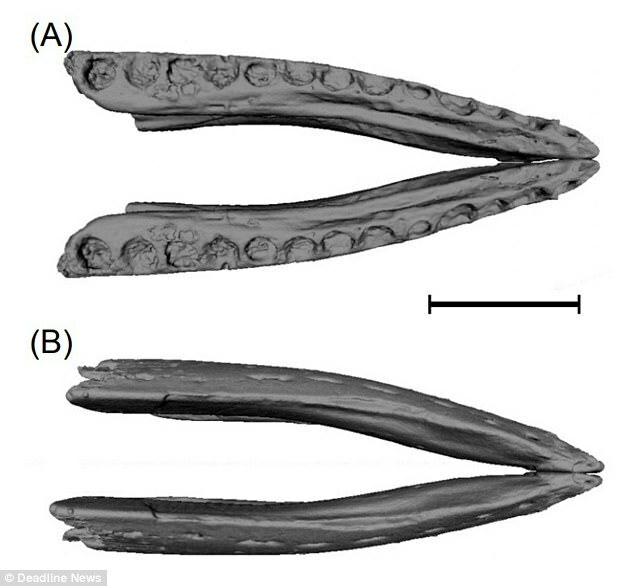 Dr Steve Brusatte, from the University of Edinburgh's School of GeoSciences, said: 'Bits and pieces of fossil crocodiles have been found on Skye before, but this is one of the nicer fossils, because it is a nearly complete jawbone. 'It tells us that small, dog-sized crocodiles lived in the lagoons of ancient Skye, during the same time dinosaurs were living on land. 'These were very ancient, very primitive relatives of today's crocodiles. They would have looked more like scaly dogs than big scary alligators. He added: 'Skye is a unique window into the Middle Jurassic, as it is one of the few places globally that preserves fossils from this time. 'There are not only crocs, but also many dinosaurs, mammals, lizards, amphibians, and fish fossils found on Skye, and we keep finding more and more every time we go back. 'There are some relatives in North America, Asia, and other parts of Europe, but from later in time. In 2008, scientists revealed that the earliest turtles known to live in water had been discovered on Skye. The 164 million-year-old reptile fossils were discovered on a beach on the Strathaird peninsula in the south of the island and find formed a missing link between ancient terrestrial turtles and their modern, aquatic descendants. During the Middle Jurassic period, Skye was covered in lagoons and filled with turtles, crocodiles, pterosaurs and dinosaurs.